I'm from Hong Kong and I've been wanting to get started with uw photography for a while now. I am a Belgian diver looking forward to learning more on this board. I am a Danish diver and videographer. I have been an active videographer for 20 years. I want to try to sell my current equipment through this forum. I'm new to Wetpixel, just logging in for the first time. New to the site, and just stopping in to say hello.. looks like I've got a lot of reading to do. First off, I'm not new to photography or scuba diving.. but the two of them combined - yes - other than a gopro and no strobes or lights. Mind you, I'm doing a scuba re-cert as it was early 2000's when I last did any significant amount of diving (and for some reason, telling people I have an IDEA AOW C-Card confuses them. Is IDEA not very recognized any more? Plus a re-cert with the g/f is the only way to get her diving... win-win at bit of a cost, but that's ok. Anyway, for cameras, I have a Nikon D750 and Sony a6500 - but am thinking the Sealife DC2000 package would be a good u/w starter rig - that way I've got 'less gear' to fumble with while diving for the first bit - looks like it is a fairly capable system. I had having another camera, but at the same time, then I don't have to worry about flooding a housing for either of my 'good' cameras while learning to juggle the gear. Happy to hear your thoughts, but off to dig through the forums for some research! Edited by vagabondexpedition, 29 July 2018 - 08:44 PM. Hi all! I'm a marine scientist and research diver and do ocean exploration and seafloor mapping professionally. My significant other is a marine biologist reach diver and freedive-photographer. We are looking to upgrade our current gear set and may be hitting members up about used gear and generally underwater photography Q's, looking forward to joining the community! Hi, my name is Simon. Im an experienced diver and Marine Biologist. Ive been shooting Macro for a long time but am hoping to diversify into some wide angle stuff due to a recent change of location. All and any advice welcome! Hello, Margaret Soraya from the highlands of Scotland here. I've been a pro photographer for 14 years and I live for anything to do with water. Underwater photography is new to me so just learning and needing to buy kit. I have a long term project planned involving photographing landscapes on the Outer Hebrides through and from their very clear waters. I’m Neil from Brisbane Australia and I thought I would finally introduce myself as I have been lurking here for many months. I have been diving since 2002. I started underwater photography soon after starting with a disposable underwater film camera (all photos were complete rubbish) before progressing to my first compact digital camera, the Olympus C-5050Z. 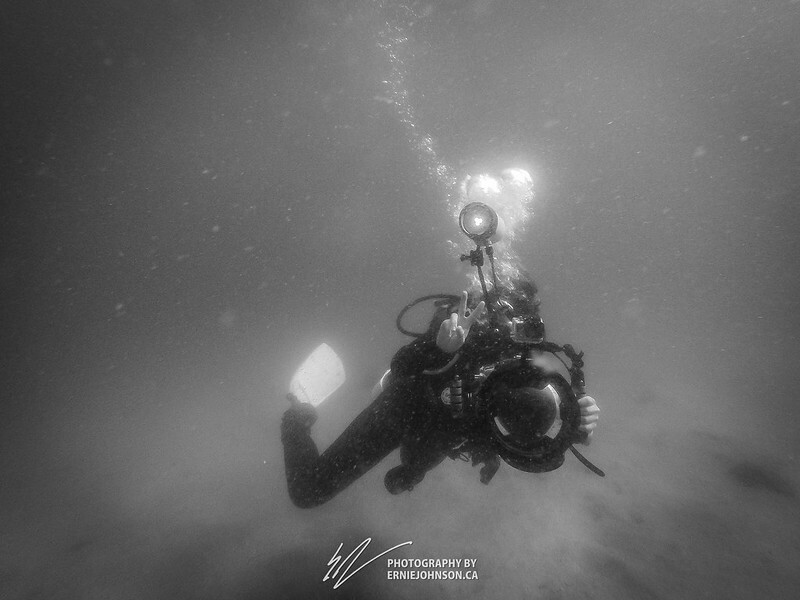 Nowadays, I dive on rebreather with a Canon 7Dmark ii in an Nauticam housing with Retra strobes as equipment of choice. I’m still making terrible lighting errors with strobes but I’m hoping to improve and perhaps make some more creative shots over the coming months. New here and from Florida. Upgrading from Sea Life 1400 Pro Duo to Sony a6500 with Fantasea Housing. Big learning curve. I'm an amateur underwater photographer based in Bristol, UK, been diving and taking pics for a few years. Currently enjoying a lot of taking pics while snorkelling around the UK at the moment, love the freedom. Looking forward to picking up tips and techniques from the excellent forums here! Dave here, from Darwin, the Top End of Australia. Looking forward to joining the discussion, learning, and sharing. I'm a fairly experienced photographer/diver who loves to learn new skills, techniques, styles, and I enjoy helping others to do the same. I now shoot with a GH5 (stills and video), but still enjoy the virtues of my compact setups from time to time. Check out my website to see some of my work, including my other interest/business - aerial photography. Edited by dave@immersed, 06 August 2018 - 04:14 PM. Hello I am Justin from Victoria Australia, just starting to get into underwater photography and think this will be a great site/resource to help me improve. My name is Jason and I just got back from a lovely set of dive trips in the Cayman Islands. I currently have a Panasonic Lumix LX-10 and am new to underwater photography. I have logged about 40 dives, most in Hawaii, and am absolutely in love with underwater photography. This is Addy from California; been diving for 9 years and shooting the Panasonic GX7 with Nauticam housing in the past 5 years. I'm Basile from France, actually living in Reunion Island (Indian Ocean). I am a snorkeler / freediver / recently scubadiver (OpenWater). Edited by Basile, 08 August 2018 - 10:50 PM. My name is Josh Gahagan and I just purchased my first underwater setup several weeks ago so I am brand new to underwater photography! I've been photographing birds and wildlife in the New England region for over 10 years now, and have wanted to try out underwater shooting for years. After some research I decided that the Canon G7x Mark II with a Fantasea housing was the best affordable option to get started with. Currently I've only dabbled in freshwater and have an interest in photographing local fish and other river denizens. Looking forward to this entirely new world of photography, and I have a huge respect for those that exceed with it after only trying it a few times!